If you own a residential home or commercial property, you’ve likely been approached once, or more, by a Solar Energy company offering to install panels for free on your roof and save you loads of money on your energy bills in no time. It does seem like a no-brainer when the offer is essentially no cost to you with only the promise of saving some hard earned cash. Even if the offers coming your way are not entirely free, but with great incentives, don’t rush to let them up there on your roof to get started before reviewing benefits and risk involved in saying yes. The most common worry for people when considering a solar panel system is the potential damage to their roof that may result from the project. Since these installations typically last up to 35 years, it’s certainly important to make sure they will not cause harm to your roof. Most of the time, when a roof is damaged due to solar panels, it is because the roof was initially in poor condition and the advice given to proceed with installing the solar panels was NOT wise advice. A reputable and trustworthy roofing contractor will take the necessary precautions to prevent leaks and other damage from occurring. 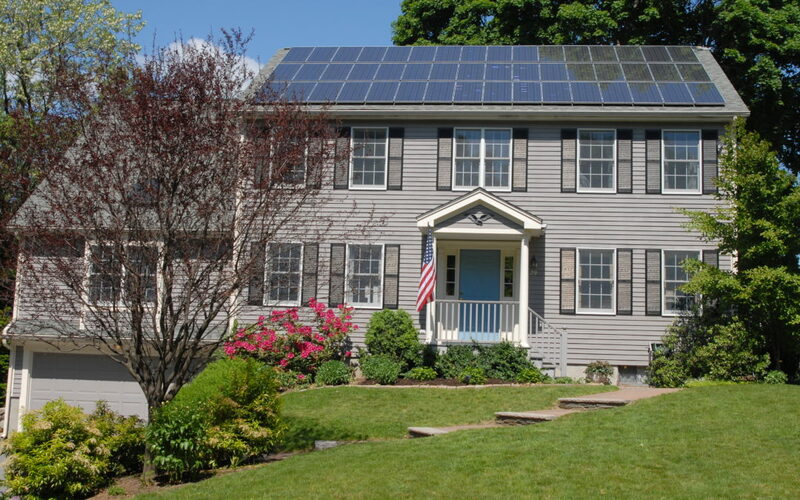 Here’s a “quick six” checklist to review when considering a solar panel roof project. Choose a licensed, qualified professional who comes with proven references. Ask the installer about their service warranty—and whether it covers any repairs or replacement of your roof should any damage occur. Insure your roof is in overall good shape with no anticipated replacement needed anytime soon. If you may be within 10-15 years away from needing to replace your roof, then it’s probably not the right time to consider a solar panel installation. Confirm your roof and house exposure is optimal for solar panels to enable you to truly reap the benefits. Ideally you want a south or south west exposure with very little shade from trees. Know all the incentives available. There are federal and local (state and/or city) incentives available, and it’s important to be aware of all the possible perks and savings you can get in on if you proceed. There is cash back through federal tax credits, property tax exemptions, waived fees and more. Find someone who has “been there and done that” in your area to help you navigate and insure you get the most for your investment. Ask your friends/neighbors what the ‘real savings’ are. It’s best to do a true cost-benefit analysis, considering any up front costs, and then find out the inside scoop on a home or building that is comparable in size and energy usage to understand if there are enough truly worthwhile savings long term. At the end of the day, the decision is an individual one to make., and there is certainly no right or wrong choice for most people. As long as you’ve done the due diligence to research the upside and downside associated with solar roof panels, then you can ultimately be at peace with your choice to proceed or pass on this offering.